Always great content. Beautifullly Edited. 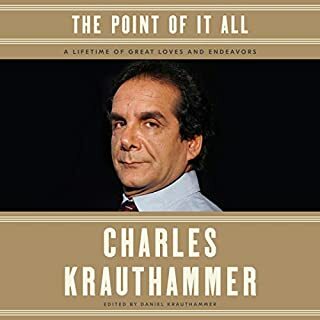 A few years ago I read Things that Matter, and loved how the combination of personal stories and excerpts from Krauthammer’s past writings combined so effortlessly to make both a point and an engaging read. The Point of it All manages to capture that same magic, and even more emotion with the addition of his son’s preface and closing. What an incredibly gifted and eloquent man. What an extraordinary life. Definitely recommend this book as well as Things that Matter. You won’t be disappointed. 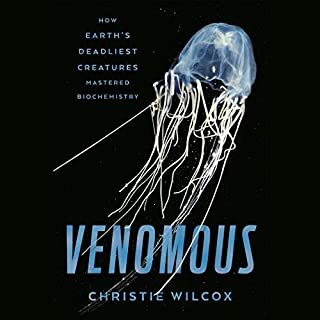 Christie Wilcox does a wonderful job of mixing scientific information with fun/interesting facts about toxic creatures. I loved learning the difference between venomous and poisonous animals; how both hematoxins and neurotoxins can vary in their compositions and potency depending on what it’s used for; and how we can harness the power of say scorpion venom, to aid in pediatric brain surgery. If you’re in need of an interesting non-fiction read, I definitely recommend. Great narration as well. Quick read with good narration. While this story did have some flaws (it didn’t delve too deep under the surface of the main character, Tess, or the secondary characters Jake and Simone. For the tertiary characters like Sasha, Ari, Howard and Nikki, and the rest of the restaurant crew - almost no details at all) , it was still pretty engaging. It felt like a very real restaurant environment, and I did feel the excitement and energy Tess felt being a part of that world. 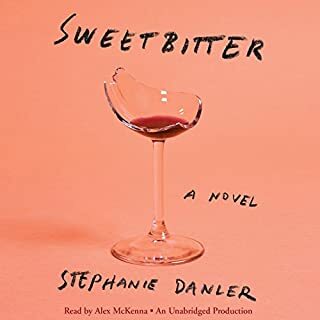 I loved that the narrator, Alex McKenna, has a scratchy voice. 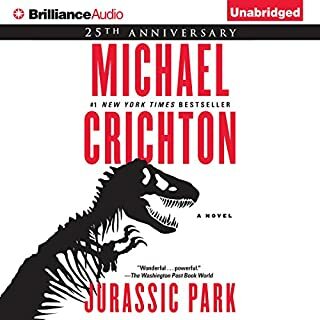 The flow didn’t feel stiff, the pace was great, and it felt as though the characters were having actual conversations- versus dead reading that some audiobooks narrations have. McKenna’s narration definitely made the story better. Though not my favorite book, still a great beach-read sort of story. I would recommend. The flow of the story, character dialogue, and storyline are all great. My biggest qualm is with the narration. 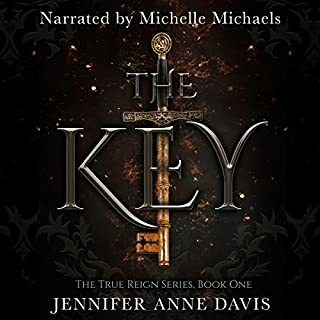 I’ve never listened to any audiobook with Michelle Michaels voicing - and while I do have to give her lots of credit for not being monotone- man, did I find all the sound effects weird. I think others have mentioned that grating “baby cry”, but I kept hoping the book wouldn’t read “so and so laughed/chuckled/sniggered”, because some of the attempts sounded either cheesy villain or annoying school girl. The accents were a bit uncomfortable as well, but again, credit to her for making them all pretty different. In addition, there were (unnecessary) breathless effects given, and choppy reading throughout (stops, pauses, or inflections that disregard normal speech patterns). I fully understand that voiceover acting is probably not as easy as it sounds, (I’m no pro) and who knows what direction she was given when recording this. In all, you won’t be bored listening, but just know the narration drawbacks. I tend to go on fiction binges (3-4 in a row), but always need a non-fiction read before beginning anew. The Butchering Art for whatever reason popped up in my recommendations, and never one to turn down interesting historical trivia - decided to purchase. I was pleasantly surprised how the narration flowed in a very story like manner. It didn’t feel like cut and dry historical facts. 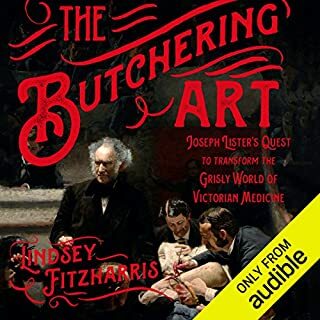 The author puts you in Joseph Lister’s world - the gore, the fascination, the science and discovery, and the frustrations of a man overcoming both nature and critics. Ralph Lister has a lovely narrating voice (his accents were done well and there were no monotone moments or areas that were read as if without punctuation). This isn’t for the faint of heart (it’s starts off in the crude days of surgery after all), but if your a trivia nerd like me - I’d recommend. Obviously better than the movie. Better than expected. Great narrator. Kept me captivated through the entire story. Great sense of urgency and tension. Even though I knew the premise of the story, I was still on the edge of my seat throughout. I felt not only for the characters, but for some of the dinosaurs as well. Great read.